May 08, 2015 15:14 IST by Eliza Lobo	in Celebrity Owned Cars. 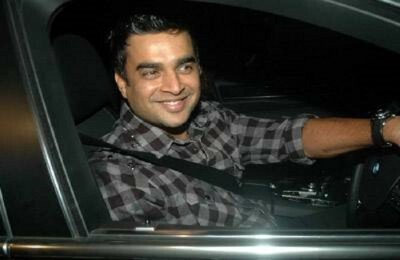 R Madhavan, an acclaimed Hindi and Tamil movie actor, carries a special repo for his passion for cars and bikes. Though his inclination is more biased towards bikes, he carries an equally classy taste for cars that is much evident from his latest purchase – a BMW 7-Series saloon car. His love for wheels can also be understood from the fact that the largest car maker of India – Maruti Suzuki launched a special edition of WagonR on his name. But the luxury car that he owns is worth taking a note of. Out of the 33 BMW cars in India, BMW 7-series is one of the costliest sedans offered by the German car maker. Offered in six different versions, BMW 7-Series price tag varies between Rs.92.4 lakhs to Rs.1. 95 crore. A flawless combination of style, drivability, and luxury, it is known for its charm in tinsel town and is counted among the most renowned celebrity cars. A luxury saloon, it is adobe of what a person may call some of the most heavenly comfort features wrapped under a lieu of superfluous aesthetics. It features a top notch build quality on external as well as internal fronts. It can accommodate five adults in least claustrophobic manner. The lavish list of features include premium leather upholstery, electrically adjustable seats, iDrive audio system, climate control, power controlled sunroof, and much more. Out of all BMW cars in India, it is known for offering highest level of comfort and extremely soothing experience to its passengers. The power section of BMW 7-Series is handled by both gasoline and diesel mills. The petrol version gets propelled by 3 power trains – a 2.8-litre, a 6.0-litre, and a 4.4-litre mill. The diesel trims, on the contrary, are pulled by a 3.0-litre mill that churns 260PS @ 560Nm and yields a respectable fuel efficiency of 14-16kmpl. No doubt its allure is undeniable to its onlookers and R Madhavan is not the only one to succumb under its spell. Apart from him, it also found its way in garages of Genelia D’Souza, Saif Ali Khan, and Shah Rukh Khan.